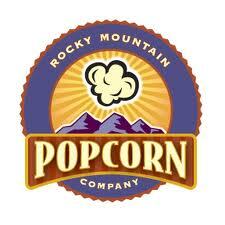 The Rocky Mountain Popcorn Company was founded about twenty years ago in Denver, Colorado. They pride themselves on a high quality, great tasting product. My family loves popcorn, from flavored to natural, from sweet to salty. 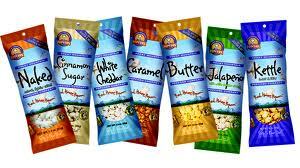 Rocky Mountain Popcorn has all of the bases covered! Say goodbye to those decorative popcorn tins this year! Say hello to this Pretty NottaTin by Rocky Mountain Popcorn Company. Why have a cumbersome tin that you have to deal with all year with only one or two flavors in it, when you can gift this beautiful octagon shaped, beautiful box filled with SEVEN flavors? The minute I opened this box, my family jumped in. You'd think I never feed them the way they were acting. Thankfully, I taught them about sharing and soon we were having all tasting one another's bag of popcorn. They are all excellent. The Naked is just that - naked popcorn. There's nothing on it. The Kettle Corn is salty, sweet and the Caramel is rich and sweet. The Cinnamon Sugar actually reminded me of cereal, it has that yummy crunchy taste. The Butter was much like theater popcorn, so good! The White Cheddar was almost inhaled, it was obviously made with real cheese and not a substitute because it tasted amazing and didn't leave your fingers with powder residue. MY FAVORITE is the Jalapeno Cheddar My husband liked it too, but my kids wouldn't even try it. That's OK - more for me. It's not hot, it just haves a bit more kick than the White Cheddar, but it is amazing! All of the bags are full. There are no kernels at the bottom that didn't get popped. It's all fully popped amazing tasting popcorn that will leave you with empty bags before you know it. I'm already planning my next order! I wish they sold this close to home, but since I live a small town, they don't. I'll be ordering online, but if you live in a larger city where they do sell it - pick it up TODAY! BUY THE NOTTA TIN FOR ONLY $9.99. 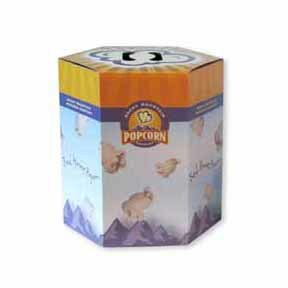 Great for parties or gift giving, or just because you like good popcorn! *I received a box of popcorn in exchange for my honest opinion. Really, get this popcorn - it's amazing!